The Utility Regulator is responsible for regulating Northern Ireland's electricity industry. The principal objective of the Utility Regulator in carrying out its electricity related functions is: to protect the interests of consumers of electricity supplied by authorised suppliers, wherever appropriate by promoting effective competition between persons engaged in, or in commercial activities connected with, the generation, transmission, distribution or supply of electricity. The Utility Regulator works with the industry in carrying out functions, part of which is the licensing of electricity suppliers, generators and transmission and distribution companies. In conjunction with licensing, a number of companies are subject to price control regulation by The Utility Regulator, these include: NIE Networks Ltd, SONI Ltd and SEMO (Single Electricity Market Operator). 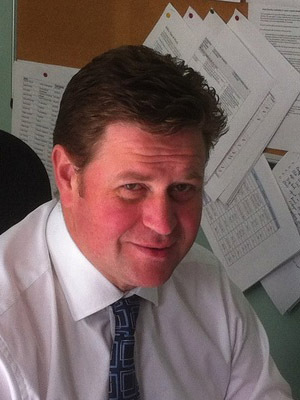 Roger Henderson is Network Connections Director at NIE Networks, having previously worked as Operations Director. Roger joined NIE Networks as a graduate engineer in 1991 and has progressed through various management roles in Power Networks, Major Projects and Plant and Technical. Strengths in research and industry mean that Ireland can be more than just a technology-taker in the growing global solar PV market. A recent report by the Sustainable Energy Authority of Ireland (SEAI) identifies areas where business in Ireland can capitalise on existing strengths and claim a share of the investment in solar PV. This presentation will explore the findings of the report (Ireland’s Solar Value Chain Opportunity) and discuss the steps that can be taken to support innovation in the sector. Brian Denvir is a clean energy specialist with the Low Carbon Technologies team at SEAI. Brian leads SEAI’s programme of work on solar PV having previously worked for international energy consultancy E4tech covering innovation in solar PV technology. He also supports SEAI’s energy modelling work to inform the development of energy policy and insights in Ireland. With over 10 YRS of experience in Various elements of the Solar Industry in many different arena's, Barrie is a strong believer in the strength of relationships and technology as the key drivers of the market place. From this Jinko has a keen belief that becoming a closer part of our clients business will allow us to do 2 things 1 Share knowledge and 2 To add value to our clients where few other manufacturers would or could attempt to. 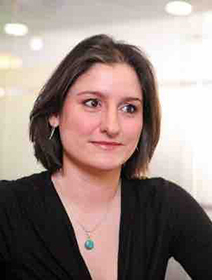 Susanne von Aichberger has been a market and technology analyst at IHS, formerly Solarbuzz since 2005. She is responsible for primary research and analysis concerning the photovoltaic industry, specializing in markets in Europe. Von Aichberger is responsible for the IHS PV Market Demand Tracker, and contributes to several global IHS reports, including the tracking and analyzing of both downstream projects and market policies. She earned her MSc in Physics from the Technical University of Berlin. Chris heads up our Energy Team, and advises clients in respect of a wide range of generation technologies, demand side response, storage, transmission and clean technology. His team advised on some of the very first energy storage projects in England (both in front and behind the meter) dealing with construction, real estate, IP and Data and financing issues, as well as negotiating the first energy storage PPAs and aggregation agreements. The team currently assist a range of storage developers and finance providers, and are actively working on EFR and capacity market projects, as well as large scale FFR-ready installations. 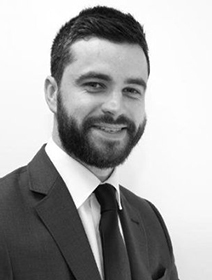 Andrew joined TLT in January 2015 and is a planning & environment partner in the firm's Energy & Renewables team. 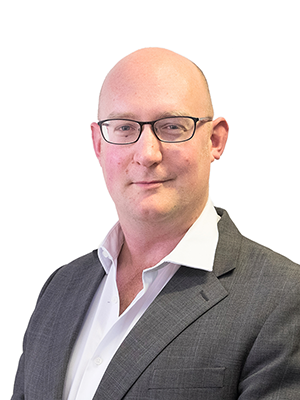 Andrew has significant experience in the energy and renewables sector on the planning and regulatory aspects of energy projects, and has advised on the development and funding of numerous solar, wind, anaerobic digestion and other waste to energy projects. He advises clients on a variety of issues including grid connection, power purchase agreements, planning and Environmental Impact Assessment and incentive schemes. Andrew also advises on the environmental and planning aspects of commercial and industrial development including enforcement proceedings, appeals and judicial review proceedings relating to planning and environmental matters. Having qualified in 2003, Andrew worked in the environment team in CMS Cameron McKenna before moving to Belfast in 2006. Andrew retains his dual qualification in Northern Ireland and England & Wales and is independently recognised as an expert in the field of environmental law by Chambers UK, a guide to the legal profession. Neo Environmental have conducted work on over 1GW of solar projects across Ireland and the UK, for both the planning application stage and for the discharging of environmental conditions. This includes over 300MW in the Republic of Ireland ranging from 5MW to some of the largest developments of 70MW. The initial considerations for the location and assessment of solar farm can be quite complex and requires comprehensive technical and environmental analysis. In terms of the environmental considerations for planning, there are technical constraints that need to be evaluated, and the criteria for this will be discussed. As a company Neo Environmental undertake all environmental aspects and issues around these will be outlined including landscape and visual assessments, ecology, heritage and archaeology, Glint and glare, hydrology and access. Site design is an essential element in getting a consent for a constructible project and this needs careful consideration. Robin McCormick has 28 years' experience in the power industry in the regulated utility environment. Robin was appointed Director of Operations, Planning & Innovation in July 2015 and is also the General Manager of SONI Ltd. Robin previously held the role of General Manager of the Single Electricity Market Operator (SEMO) and SONI. In his role as Director, he is responsible for the operation and planning of the power system in Ireland and Northern Ireland. Robin is a fellow of the Institution of Engineering and Technology and Vice Chairman of the IET Engineering Policy Group – Northern Ireland. He holds an MBA from the University of Ulster, Jordanstown, and an MSc from Napier University, Edinburgh. Energy supply and generation are now at a crossroads. Several renewables projects relied heavily upon financial assistance from the Government, this has now been withdrawn and the industry is entering a period of unfamiliar ground. The fall in the value of sterling and the uncertainty caused by Brexit may see an increase in cost and reduction of profits. Companies in the Solar Industry are becoming more dependent on financial assistant that ever before and need support from public and the private sector in order to sustain growth. Anne began her career in the Southern Regional College, coordinating several European Regional development fund projects across a variety of industries. In 2011, Anne managed several funded initiatives in Belfast City Council Development Department before getting involved in Smart ECO Hub, an EU Energy project consisting of 10 Local authorities and over 100 companies operating in the Energy Sector. Anne has coordinated and managed several projects including Titanic Belfast Ambassador Programme, Destination Belfast, Smart ECO Hub, Creative Industries Programme and Inspire EU Project. In 2015, Anne set up PRR Associates, a consultancy company assisting companies in the Energy and Manufacturing industry with identifying funding sources for collaborative projects and R&D Activities. Anne has evaluated several European Funded projects across Ireland and is a consultant for Intertrade Ireland, Invest NI and Enterprise Ireland. Anne has conducted several research reports on the Datacentre industry, energy, sustainability sector and the construction industry. With 34 years’ experience in the Electricity Supply Industry, Michael has extensive power station experience in oil fired generation and CCGT technologies as well as 21years experience as SONI's Grid Control Engineer. Mike has held engineering posts in Operations, Mechanical Maintenance and in Technical Services as Efficiency and Test Engineer in N. Ireland's largest power station at Ballylumford (960 MW conventional, 120 MW Gas Turbines). At privatization of the Electricity Supply Industry in 1992, Mike took up the newly created post as Northern Ireland Electricity's Power Station Testing and Monitoring Engineer attached to 'Grid Control' (later renamed SONI, The System Operator for N. Ireland). In this role he was responsible for grid code compliance and testing/monitoring of all generators in the four power stations. Later this role developed as Commercial Engineer. In 1994 Mike moved into the Control Room as Grid Control Engineer and has 21 years’ experience in operating and scheduling the Power System. In 2002 Premier Power (owners of Ballylumford Power Station) and SONI offered Mike the role of CCGT Co-Ordination and Commissioning Engineer for N. Ireland's first CCGT power plant (600 MWs). Mike was responsible for all aspects of grid code compliance testing and commissioning on to the grid. In 2005 Mike was again seconded from shift operations to advise the NI and RoI Regulators, and their consultants, regarding the new Single Electricity Market design. As the Senior Grid Control Engineer, Mike was responsible for controlling and coordinating all operations on the NI grid and for safety of all persons working on the grid. Real-time operation and control of the €2.6B/yr market includes the following key skills: (a) load prediction, (b) plant scheduling, (c) demand balancing, (d) system security, (e) voltage control, (f) control of wind farms and interconnectors, (g) interconnector trading, (h) commercial management of contracts, (i) plant operation and control, (j) safety management. Having operated the Grid and Single Electricity Market from the top down, Mike has now resigned from SONI to set up Energy Trading Ireland bringing extensive engineering, trading and efficiency experience to clients throughout Ireland and abroad. Robert Clements works for the Housing Executive for three years and is passionate about improving energy efficiency across Northern Ireland. The Energy Conservation and Environmental Policy Units merged to form the Sustainable Development Unit which will continue to evolve the excellent work by the two units to promote energy efficiency and a low carbon environment within a continually changing landscape. The Sustainable Development Unit’s aim is to ensure the Housing Executive, as the Regional Housing Authority, is best placed to influence and promote practical and cost effective energy efficiency measures to deliver significant improvements to all householders across Northern Ireland and promote a low carbon environment through our stakeholders. We have a number of objectives which ensure the Housing Executive meets its statutory obligations as the Home Energy Conservation Authority (HECA) for Northern Ireland. Zosia joined Lightsource in 2016 to head up the growing UK corporate power purchase agreement (PPA) team. With over a decade of senior-level experience in the energy sector, Zosia is adept at developing strategies which meet business needs. 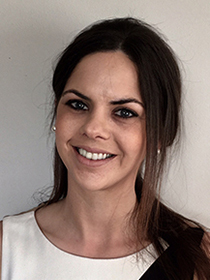 Prior to joining Lightsource Zosia was responsible for business development at Utilyx (latterly Mitie Energy) building new partnerships and managing all commercial client relationships. 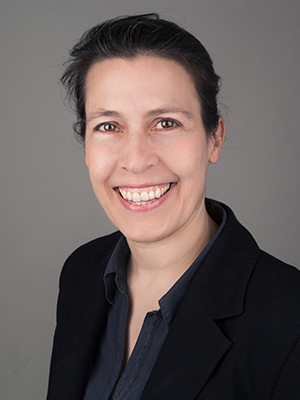 Zosia brings a great depth of knowledge to the Lightsource UK PPA team, having previously led several negotiations on corporate PPAs between clients, project developers and generators. SOLARWATT is a fast-growing German manufacturer of premium-quality Solar panels and storage systems. Backed by 23 years’ experience, the German company is a recognised innovation leader, with its complete dual-glass photovoltaic solar panels (VISION), intelligent energy management systems and the unrivalled MyReserve storage solution, which together produce outstanding operational and financial efficiencies. With its algorithm-based intelligent Battery Management System, MyReserve has set the industry standard in all aspects of safety, performance and efficiency, to ensure long life and safe operation. Manufactured in Germany, MyReserve is twice winner of the Intersolar EES Award. Pol Spronck, International Sales Manager for SOLARWATT, has been active in the international PV industry since 2008. Managing international markets, he is focused on a number of markets including Scandinavia, Eastern Europe and the Middle East. Working with Sales Manager Bobbie Wright, he is responsible for the important Ireland market, where BHC Distributors represents SOLARWATT in Northern Ireland and the Republic.